PITTSBURGH—Half of new employees are experiencing buyer’s remorse after taking a job offer this year. And they are not alone – many organizations also question whether they have made wise hiring decisions as one in eight new employees were failures in the last 12 months, according to Development Dimensions International’s (DDI) latest global research on hiring trends. “There is a great paradox in that both unemployment and the number of open positions hover at uncomfortably high levels—and simultaneously, organizations and candidates are shaky about the decisions they made in staffing and accepting roles this year,” said Scott Erker, Ph.D., Senior Vice President for DDI’s Selection Solutions and the study’s co-author. 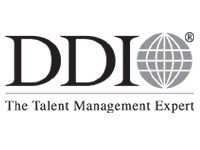 DDI’s Global Selection Forecast 2012 research is the first forecast report completed post-recession and uncovers data about missed opportunities throughout the hiring process that impact confidence in newly-hired people and their fit to the job. The study includes responses from more than 250 staffing directors and 2,000 new hires from 28 countries and was conducted in partnership with Oracle. The research reported that only half (48 percent) of all organizations rated the hiring process as highly effective. This is a very painful ‘look in the mirror’ for hiring managers and the staffing directors they support, especially considering that organizations said that 14 percent of their new hires were failures in last 12 months. I didn’t apply for this job! The research also revealed that only 51 percent of new hires are confident in their decision to accept a new job. Adding to this uncertainty is the failure of the hiring process to paint a realistic picture of the job, department and company. Not surprising, the research also found that organizations that do a better job of giving a candidates a realistic job preview, yielded hires that were more confident in their decision, highly engaged and less likely to get right back on the job boards. “One way to avoid quick quits is to be real in describing what it will be like on day 5, 50 and 150 for that candidate during the interviewing process. Painting a rosy picture or pulling a bait-and-switch once they’re on the job will just mean you’ll fill that position again in 6 to 12 months,” Erker said. Bad interviews do more harm. Interviews remain the hardest working selection tool to predict new-hire performance and resulting business impact, according to the research. The only catch – they have to be done correctly. Only one in three staffing directors said their hiring managers are skilled at conducting high quality interviews—probably due to the fact that the same number are satisfied with their interviewer-training program. So what does a bad interview look like? Respondents included their top ‘bad’ questions from recent interviews are about race, age, religion, belief in ghosts, and even food preferences. Staffing directors outside of the U.S. were 10 percent more likely to rate their selection system as effective when it came to the ability to identify the right people (U.S.: 46 percent; Other geographies: 56percent). One reason for this difference may be that non-U.S. companies report using more pre-employment assessment tools to make their hiring decisions. Only half (48percent) of staffing directors rated ‘retaining new hires’ as a top priority—it was actually the third highest priority when asked to pick their top choice. Less than two-thirds of staffing directors reported that their interview guides are based on an identified set of competencies for the role they’re hiring. Less than 30 percent of staffing directors are satisfied with their interviewer training program. To access the full 2012 Global Selection Forecast, visit http://www.ddiworld.com/gsf2012. DDI’s Global Selection Forecast 2012 is part of a continuing series of trend research by DDI’s Center for Applied Behavioral Research (CABER). It was designed to inform and advise talent management professionals about the current state of hiring and selection strategies of organizations worldwide. Conducted in partnership with Oracle, more than 250 staffing directors and over 2,000 new hires from 28 countries provided perspectives on their organization’s selection processes. Staffing directors provided insights into what selection systems look like today; new hires provided an unprecedented view of how those systems are perceived as well as their post-hiring experiences. Founded in 1970, Development Dimensions International, a global human resources consulting firm, helps organizations close the gap between today’s talent capability and future talent needs. DDI’s expertise includes designing and implementing selection systems, and identifying and developing front-line to executive leadership talent. With more than 1,000 associates in 75 offices in 26 countries, the firm advises half of the Fortune 500. For more information about DDI visit http://www.ddiworld.com/aboutddi. DDI worked in partnership with Oracle on the Global Selection Forecast 2012. Oracle’s Human Capital Management (HCM) applications are a complete and integrated suite—from core HR transactions and workforce service automation to complete enterprise talent management, including many best-in-breed capabilities unique in the industry. Oracle’s global, web-based, single-system architecture is designed for organizations of every size, industry, and region. And only Oracle HCM comes with complete, integrated business intelligence, compliance, and security with your choice of deployment options. Oracle is the HCM solution of choice for more than 14,000 customers in over 140 countries, including 8 of the top 10 Fortune 500 companies and 30 of the top 40 innovative companies.